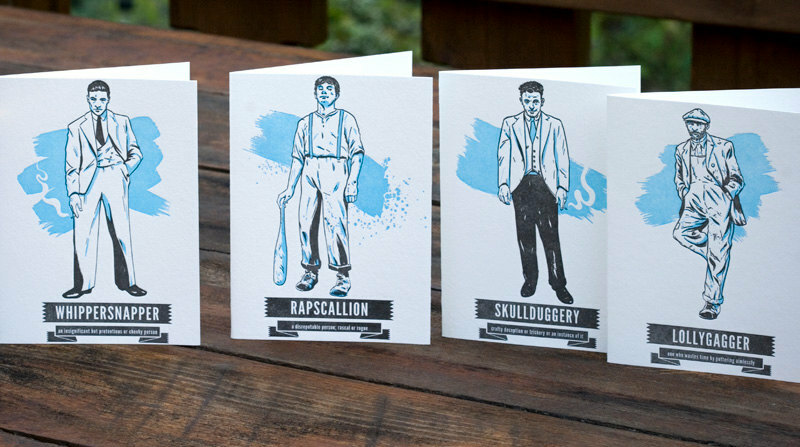 These four Troublemakers were illustrated by Joel to accompany some of his favorite words. 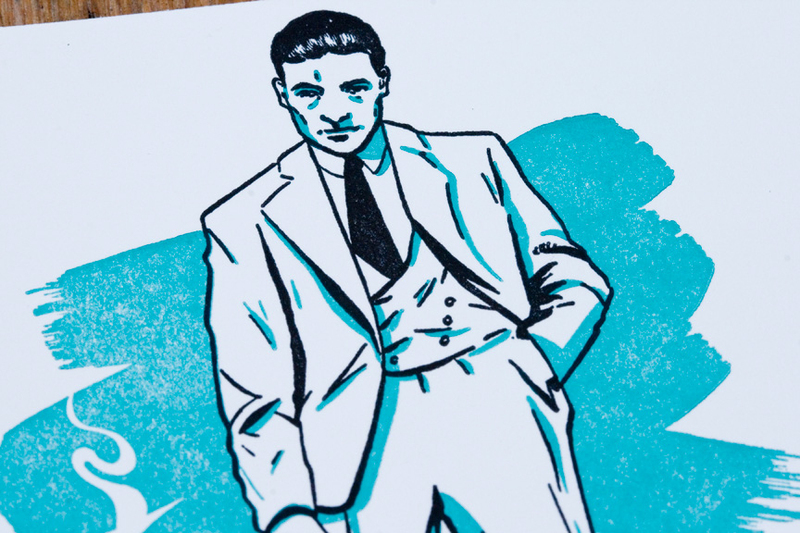 Printed in black and a cool cerulean blue, the Troublemakers illustrations also include a description of each of the words. The figures themselves were inspired by Depression era characters. 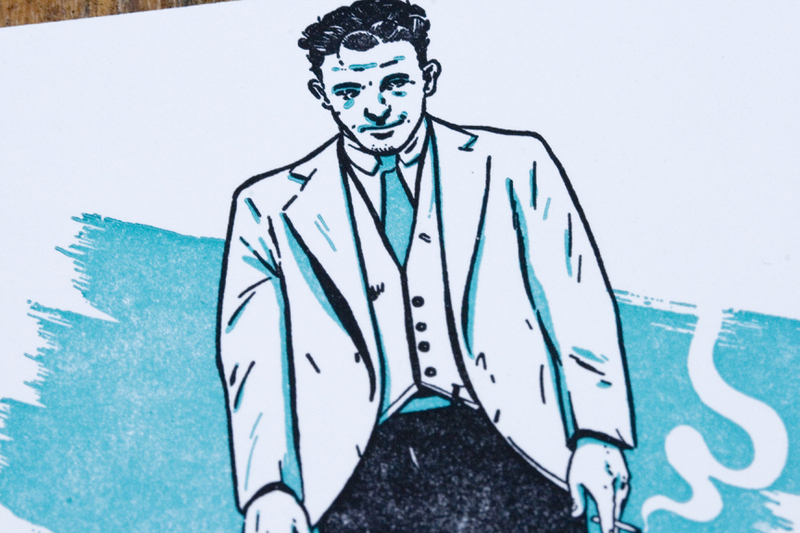 Joel initially printed the cards to use as a limited edition of promotional cards for his illustration work. Thankfully for everyone else, the cards are also available in our shop as one of our illustrated letterpress packs (other sets include Tea Time and Seasons – more to come!). The cards were recently featured on Under Consideration’s great blog about print design, For Print Only. You can also watch a video to see how Joel’s original Troublemakers promotional cards were printed. From the ink mixing to trimming and assembly, watch our press in action!